Businesses of all sizes have challenges. From the “solo-preneur” trying to do it all themselves to large corporations with multiple departments and tiered management, the challenges may vary, but the need for help and an external perspective does not. Paradigm Solutions has provided business consulting and coaching services to small “mom and pop” businesses, large organizations, and companies of all sizes in between. The clients we serve are in nearly every conceivable industry, from retailers and service providers to restaurants and physicians offices. What they’ve all had in common was a need for perspective, structure, a fresh set of eyes and a helping hand. What experience do you have with an orthodontics office? Sometimes clients feel they need an expert from their industry to be their consultant, but that’s not necessarily the case. A business consultant needs to be able to look at your operations objectively, identify problematic areas, and work with you to implement long-term solutions. What we offer is a fresh, “outside” perspective, and a collection of best practices from multiple industries. In short, your consultant doesn’t need to have experience in your industry; they simply need to be able to observe your business from an external point of view, make some meaningful recommendations, and help guide you as you implement and measure the effectiveness of the solutions. We can support you as consultant, coach and / or mentor depending on your specific situation. Improving the structure of a business can mean implementing new and / or improved processes to accelerate efficiency and profitability. It can be the modification of your communication process, development of a strategic plan, or a better definition of roles / responsibilities and accountabilities within your firm. It might involve practicing better accounting methods, or reinventing your marketing strategy. No matter what your challenges are, the experts here at Paradigm Solutions will work with you to identify and address those challenges, and create realistic strategies for better results. You might say that we help you improve your outcomes and your incomes. As you’ll see on our Process Improvement page, your approach to completing all of your operational tasks in a repeatable and robust fashion can make or break your business. Having clear, simple, effective, efficient and documented methods in place throughout your business is good for team morale and profitability. Changes in this area often lead businesses to their greatest gains. Documenting your business also adds true value to your company which is crucial if your exit strategy involves the sale of your company to a new owner. 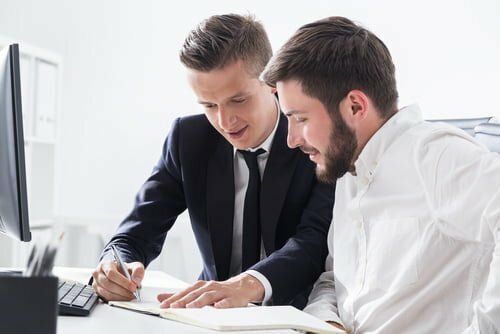 If you would like more information about Business Consulting, be sure to CONNECT WITH US!